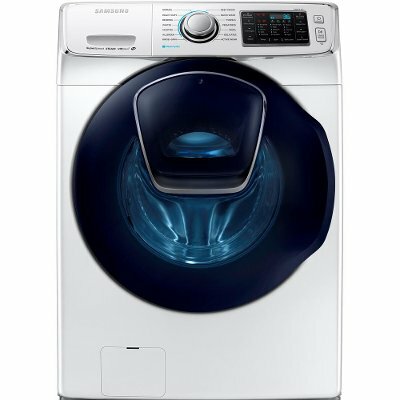 This White Samsung Laundry Pair comes with a Front Load Washer and Electric Dryer from RC Willey. This laundry set makes laundry easier than ever before. With a front load washer that features a door-in-door that lets you add items you may have forgotten and a dryer that is designed to be efficient and gentle on clothes, this pair gets the job done. Get it today and make your laundry day less of a drag. Keep those clothes looking their best! 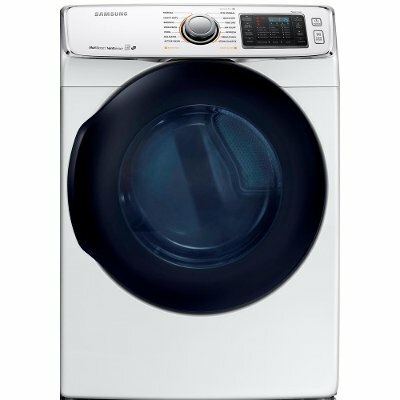 Conveniently add in any forgotten laundry after the wash cycle has begun with Samsung's AddWash system featured on this white front load washer from RC Willey. This washer makes wash day shorter than ever with a full load time in only 36 minutes. Get more laundry done faster with Super Speed. The combination of AddWash™, large capacity, and Super Speed, saves you time and energy. Stackable with purchase of optional stack kit. Get more done with less time, less energy and less hassle with this ultra-large 7.5 Cu. Ft. capacity Samsung Dryer from RC Willey. This Electric Dryer features a 2016 ENERGY STAR® certified dryer is both eco-friendly and energy-efficient. Also features Advanced features like Multi-Steam technology gives you the ability to steam away wrinkles. Vent Sensor detects duct blockages and reminds you to clean your vent for optimal drying performance. Samsung's breakthrough Super Speed technology provides a faster and more thorough wash cycle. Simply select the Super Speed cycle and get up to a 40% faster wash cycle* without sacrificing cleaning quality. With Super Speed, you can quickly wash a full load in as little as 36 minutes. Washers with Samsung VRT Plus™ technology are quieter than any other washers in its class and are now 40% quieter than regular VRT®. An innovative tub design and special sensors keep heavy loads balanced even at high spin speeds. For the ultimate in convenience, Self Clean+ technology keeps your washer drum fresh by removing dirt and bacteria without the use of harsh chemicals through a combination of soaking, pulsating and high speed spinning. Self Clean+ also sends reminders to clean the drum every forty wash cycles. Our 7.5 cu. ft. large capacity dryer has 14 preset drying cycles and can handle larger loads, saving you time and effort. With powerful and flexible steam options, you can reduce and remove wrinkles, odors, bacteria and static. Unlike other steam dryers which require users to manually refill a water reservoir, Samsung's Multi-Steam™ Technology requires no refills. Now you can confidently steam away wrinkles and spend less time ironing. Samsung's patented Eco Dry technology can save up to $4,500 over the lifetime of the washer and dryer*. 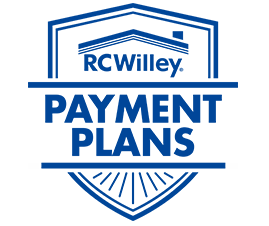 With up to 25% less energy use on every load, Eco Dry offers superior drying power while saving money in the long run.